I have had one of the most eccentric evenings of my working life. I can now reveal that the meeting tonight was with one of the richest men in Texas, Mr. Trammell Crow. Evidently it’s extremely hard to get a meeting with Trammell Crow. He saw me tonight at 8:30pm on a Sunday night, and the meeting lasted three hours. Mr. Trammell Crow’s father built a good deal of Dallas, and Trammell has continued in his father’s footsteps, making his group of companies amongst the wealthiest and most powerful in Dallas, if not state wide. Trammell though differed from his father in that he became an active environmentalist, and a collector of Asian Art. He needed a place to show his art so he built a magnificent museum right in the heart of downtown Dallas. The museum distinguishes itself by holding free meditation classes each day – and hence it’s been dubbed “The Wellness Museum” by folks in Dallas. Trammell is notoriously eccentric, and tonight he didn’t disappoint. We (Jennifer, Rachit, Renee – who had set up the meeting – and I) went to the address we were given by his assistant, but there was no-one at home. All the lights were out. Plus the house looked a little dowdy. Not the kind of place I was expecting, given Mr. Crow’s propensity for art. We walked around the house but the place was dark and looked deserted. We texted his assistant and she tried to find out what was going on. And then I heard a distant voice yelling out: Bill! Trammell Crow then appeared out of the darkness. He was slim, aged 63, with grey hair tied back in a pony-tail, and the gait and gaze of a pirate. He then took us along a darkened path to his residence, (the darkened building being his office). His house was truly magnificent – and on a huge block of land. It was like a palace surrounded by immaculate gardens. Inside the house was full of eye-popping art. His taste was superb. One of the first statements he made was that he would have had better luck with his staff if he believed in intuition. Uh oh, I thought. He doesn’t believe in intuition. This is not going to go well. But we talked, and he took notes, and he asked a lot of very smart questions. It was quickly apparent that his eccentric laid back demeanour was a guise only. He had a very sharp and inquisitive mind. Above all he was a gentleman and he was gracious. Late on a Sunday evening he gave me three hours of his precious time. After him saying that he never invests in films because they’re too risky, he said that he would be interested in reading an investment proposal, and looking at a script. He then gave me his private card, with his personal email and phone number. His parting words were: If I can invest in something that does good and makes me money, then why not? He then walked us out of the house, into the magnificent grounds, and directed us back the way we came, through the darkness, to our cars. How do I feel about it all? Well, I think that this evening was a very special occasion. 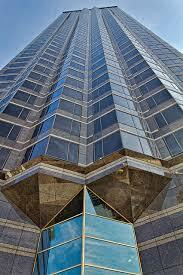 Trammell Crow is a brilliant eccentric man. A man who cares deeply about the state of the world. A man who loves art and creativity. A man who is trying to raise consciousness. Will he back my film? I don’t know. Yet. But if nothing comes of the meeting tonight, then I at least have the memories of meeting an extraordinary man under highly unusual circumstances.